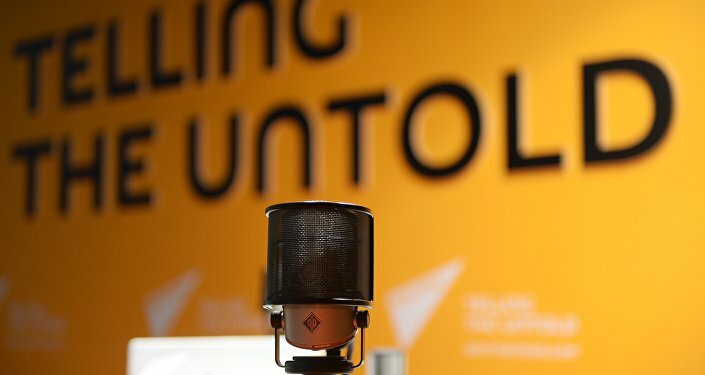 Three Democratic congressmen have recently raised the alarm over Radio Sputnik's allegedly using "US airwaves to influence the presidential election" back in 2016, apparently being uninformed that the broadcaster went on the air on the 105.5 FM frequency in Washington on July 1, 2017, almost eight months after the vote. The recent attack by the US lawmakers against Radio Sputnik has come as no surprise to Argentine political scientist Atilio Boron, who received a PhD from Harvard University told Sputnik Mundo, drawing parallels between the move and the infamous political practices of Senator Joseph McCarthy who recklessly accused his opponents of subversion and treason without regard to evidence. "What these people are doing — both congressmen and The New York Times — is trying to hide an obvious fact: if Trump is the US president, it cannot be attributed in any way to the role that media such as Sputnik or RT could have played," Boron stressed. The academic said that Trump won the presidency not because he got fewer votes than Hillary Clinton, who won the popular vote by almost 3 million ballots, but because the US political system is aimed at preventing "the situation in which a nationwide vote could determine the outcome of the election." The indirect election system of the US is based on the decision made by the Electoral College, Boron explained, "thus, in every state party oligarchs make the final decision." "We are writing in response to recent troubling press reports that a radio network funded by the Russian government may have used US airwaves to influence the 2016 presidential election," Representatives Mike Doyle (D-PA), Anna Eshoo (D-CA), and Frank Pallone, Jr. (D-NJ) wrote to the Federal Communications Commission (FCC) on September 18, citing The New York Times' article "RT, Sputnik and Russia's New Theory of War." The three urged FCC Chairman Ajit Pai to investigate the matter and "apply all applicable laws and regulations to enforce the public interest standard for licensed stations that broadcast this network." "To say that two news agencies could have manipulated American public opinion appears to me to be real nonsense," Boron said, surmising that "they are looking for ways to justify an escalation of aggression against Russia." According to the academic, by doing this Washington "exposes the world to a situation that can be extremely dangerous," since Russia "will not stand idly by while being attacked by the United States." The accusations of alleged Russian interference are "absurd and incoherent," Boron highlighted, referring to Washington's repeated meddling in the electoral process in Latin America, when the US "directly influenced" it with funding and "by choosing candidates and launching all-out campaigns to support them." When the results of elections do not fit into Washington's scheme, "it tries to overthrow the president who was elected because the people got it wrong and chose wrongly," the academic elaborated. By spreading the narrative of the alleged Russian interference in the US 2016 election, they want to impose a "post-truth," Boron said, adding that he doesn't believe that "the average American is so stupid as to believe a story like this." According to Boron, Washington "underestimates" its citizens while thinking "that they can be roughly manipulated by two Russian news agencies." Therefore the academic regards this as an "insult to the American nation's intelligence." He called attention to the fact that it is not the first time that the mainstream media, which is sometimes being referred to as the "fourth power," "lies in a scandalous way." Citing Noam Chomsky, he pointed out that the goal of the fourth power in the US for many years was not so much to "inform the population in a truthful and objective manner" but to "manipulate public opinion depending on the desires of the US ruling class." "Their image of today's Russia is not so different from what they imagined at the peak of the Cold War," Boron said, "They continue to think that [Russian President Vladimir] Putin is a KGB agent who is determined to restore Soviet hegemony in Russia and around the world." "We are talking about public opinion, brutalized by the [mainstream] media, including The New York Times — one of the biggest liars in the world," the academic concluded. On September 13 The New York Times' Jim Rutenberg claimed that Russia is "waging an information war against the West" using media outlets Russia Today (RT) and Sputnik as its tools, referring to the role, the news networks "are suspected to have played" in the 2016 US presidential election. The journalist cited an intelligence report entitled "Assessing Russian Activities and Intentions in Recent US Elections" prepared jointly by the CIA, FBI and NSA which insisted that Russia tried "to undermine public faith in the US democratic process" and targeted Hillary Clinton through its "state-run propaganda machine." 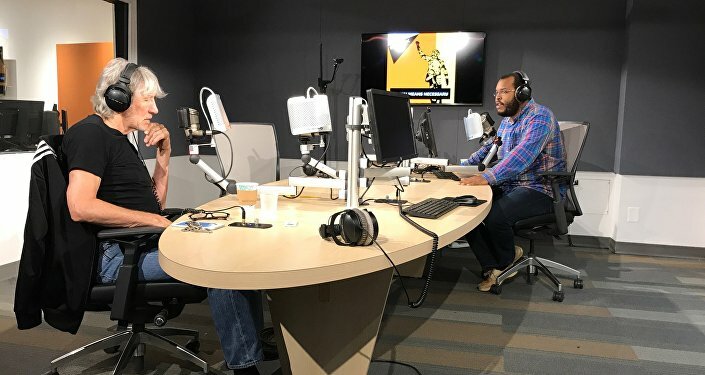 Rutenberg noted that "RT and Sputnik operate on the stated terms of Western liberal democracy" and that makes them "harder for the West to combat than shadowy hackers." Earlier, on September 11, the company that provided services for RT America channel in the US received a letter from the US Department of Justice demanding that the company should register under the Foreign Agents Registration Act (FARA), legislation adopted in 1938 to counter pro-Nazi propaganda. The statute requires so-called "agents" to disclose their relationships with foreign entities and the sources of their funding. The same day a report surfaced that the FBI had questioned former Sputnik employee Andrew Feinberg as part of the investigation of reports that the agency allegedly acted as a Russian propaganda agency in violation of FARA. 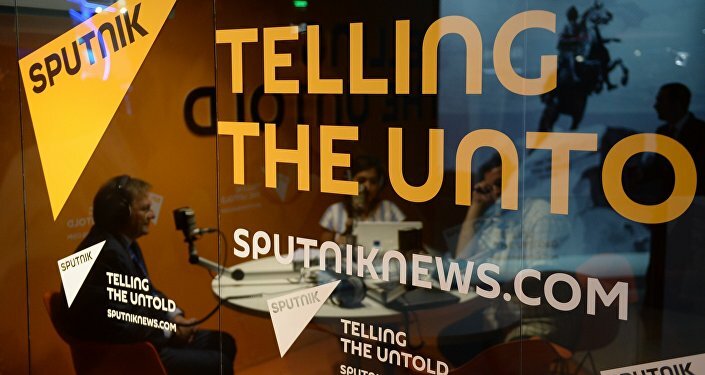 In response to the move, Kremlin spokesman Dmitry Peskov said that the FBI probe into Sputnik indicates serious censorship problems in the United States, describing the action as contradicting pluralism and freedom of the press. For her part, Russian Foreign Ministry spokeswoman Maria Zakharova stressed that Moscow "reserves the right to respond to the outrageous actions of the American side." Commenting on the issue Sputnik Editor-in-Chief Margarita Simonyan laconically remarked: "Freedom of speech is turning in its grave. It was killed by those who created it."